steel fence panel is popular in US market and AU market, they can improve the appearance and increase the value of your property. They do not corrode and rust. Itgives you a great look and the ultimate combination of strength, beauty, and durability. There is many types of steel fence for your requirements, difference finals, different picket for your choice. green,black,blue,white, yellow, gray, orange, etc. Looking for ideal Cheap Steel Picket Fence Manufacturer & supplier ? We have a wide selection at great prices to help you get creative. All the Wrought Iron Metal Fence are quality guaranteed. 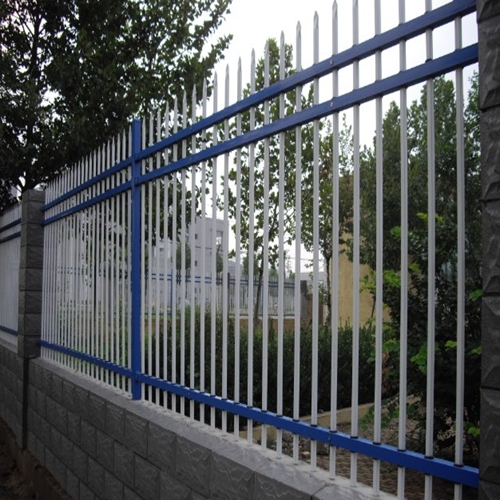 We are China Origin Factory of Professional Zinc Steel Picket Fence. If you have any question, please feel free to contact us.